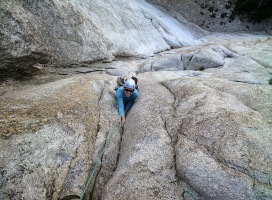 Melissa's ankle was feeling better, and the thunderstorms seemed to have moved off after several weeks of consistent rain, so we decided to go down to the East Side for some climbing!!! 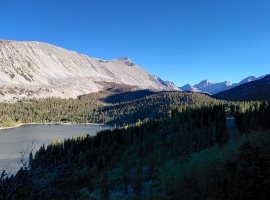 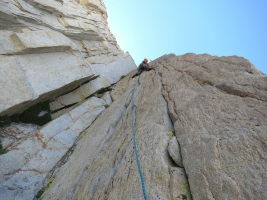 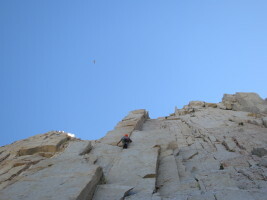 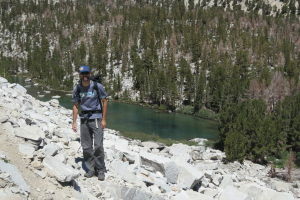 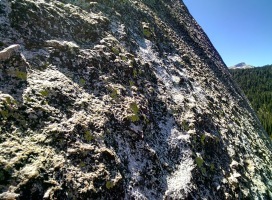 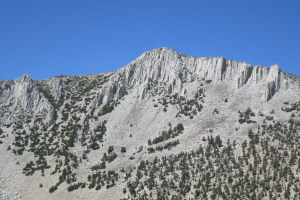 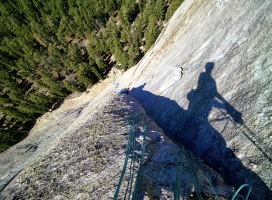 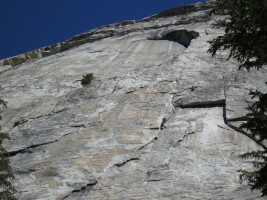 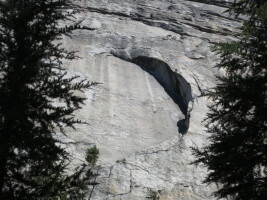 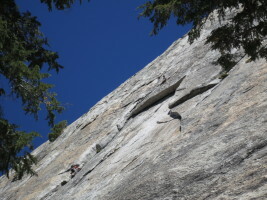 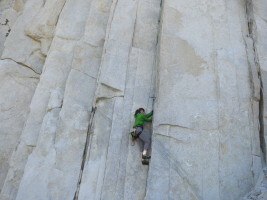 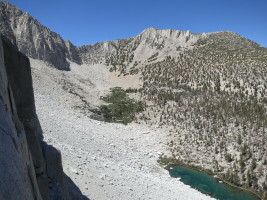 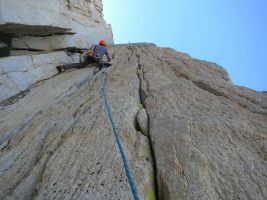 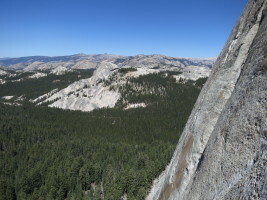 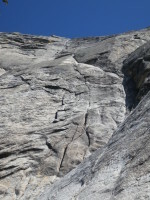 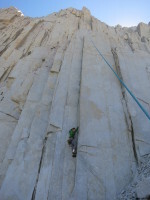 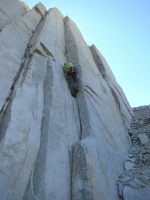 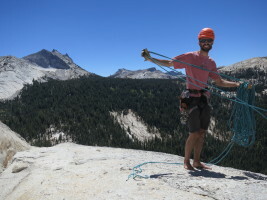 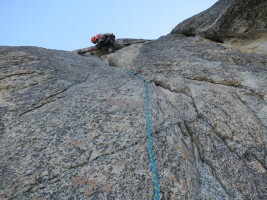 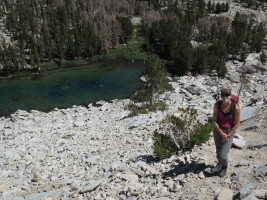 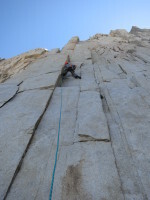 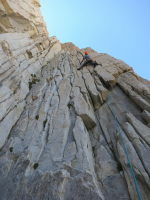 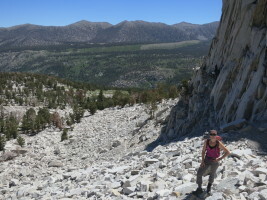 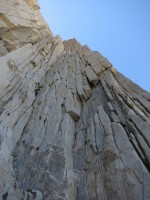 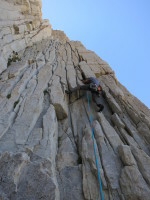 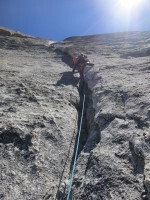 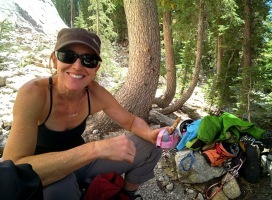 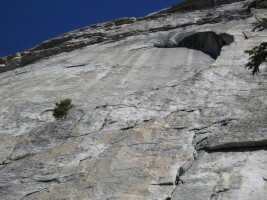 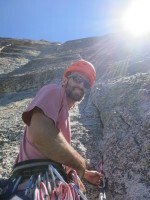 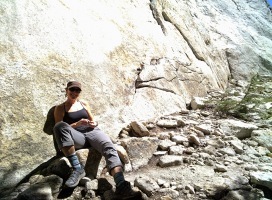 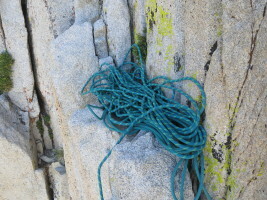 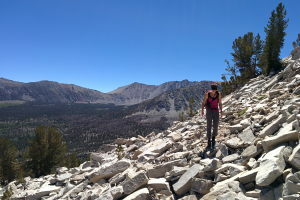 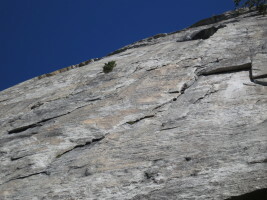 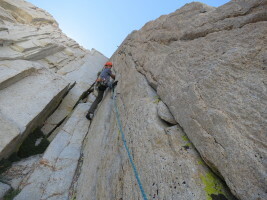 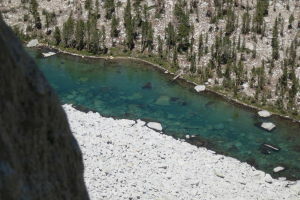 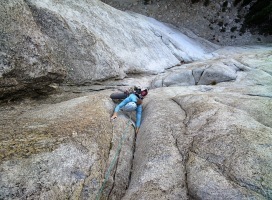 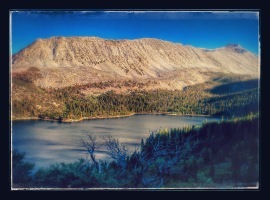 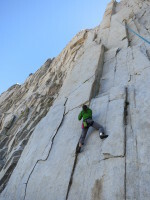 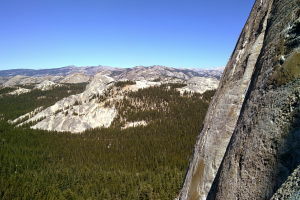 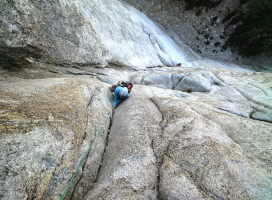 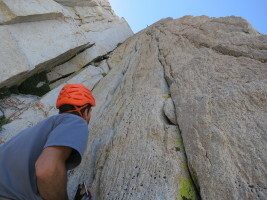 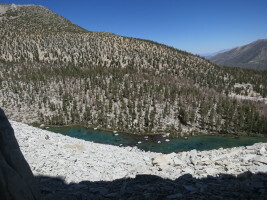 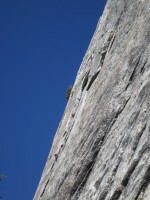 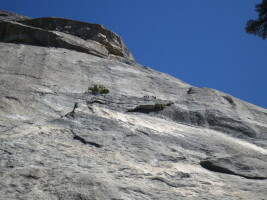 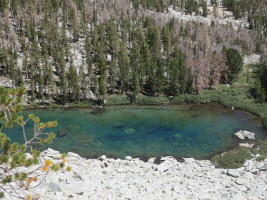 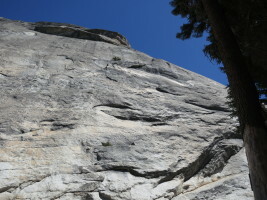 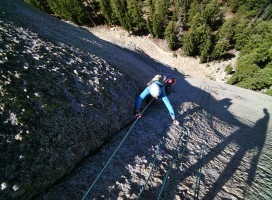 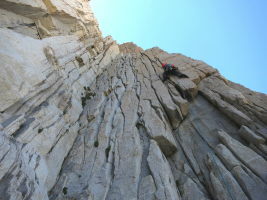 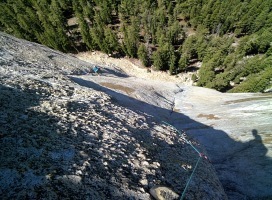 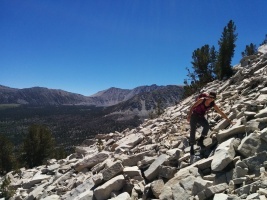 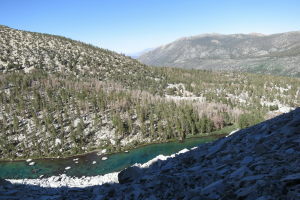 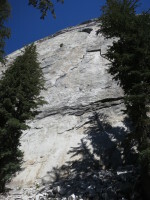 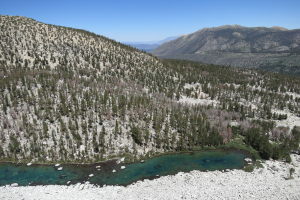 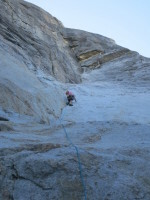 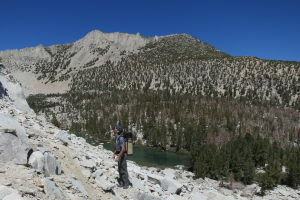 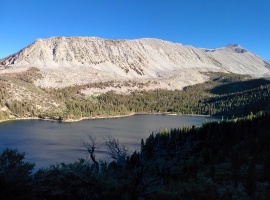 On Saturday, we went to Patricia Bowl, which is one of the most amazing places to climb in the Sierra. 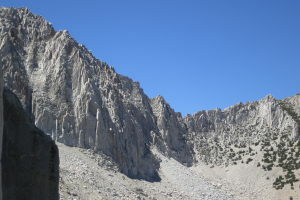 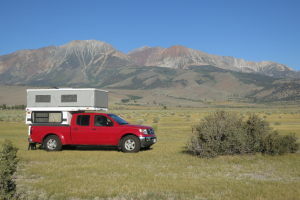 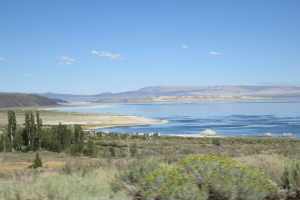 Since it's north facing, it doesn't get any sun this time of year, which makes it perfect for hot days. 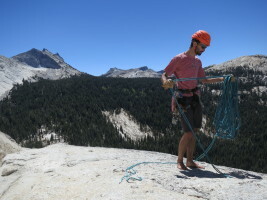 Even though it was a fairly hot weekend, we were still belaying in puffy jackets up there! 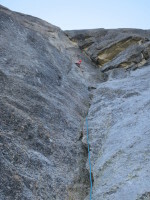 We repeated the old classic Boi-oi-oi-ing, and did a few other climbs in its vicinity - the other highlights being Tommy Boy and High Expectations. 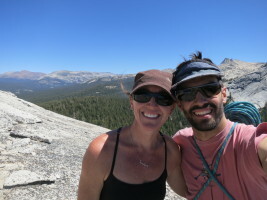 On Sunday we drove up to Tuolumne meadows, for the first time this season (a shocker, since we usually spend A LOT of time there in summer). 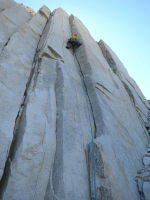 We went to Fairview Dome, and somehow, despite a 10am start, we were the first one on the rock! 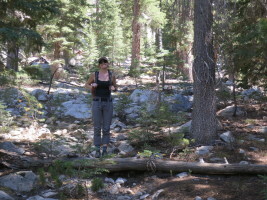 Lucky, as a couple of parties showed up very quickly after us. 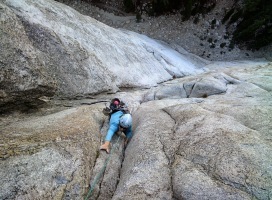 All in all, a really awesome weekend! 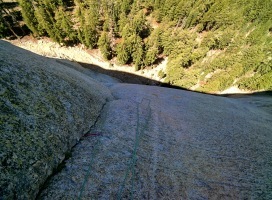 Starting up the first pitch of Boi-oi-oi-ing! 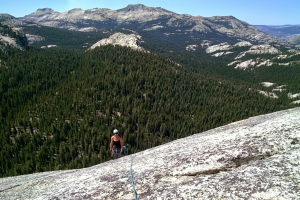 Boi-oi-oi-ing is amazing! 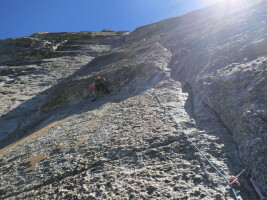 Did I mention the second pitch is amazing? 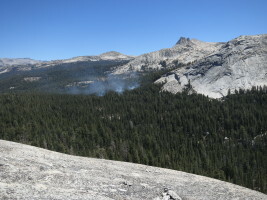 Fire by Cathedral peak. 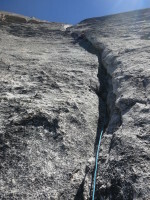 Lightning caused and they are letting it go... great pumkin? 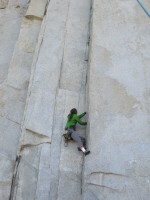 A couple of guys on Great Pumpkin?